Bruxism, or teeth grinding, is a common problem that can result from anxiety, stomach disorders or misaligned teeth. Many people grind or clench their teeth at night while they are sleeping. Much of the time, they are unaware of their habit until a partner complains of the noise, or a routine dental exam reveals damage to their teeth. In its earliest stages, teeth grinding may have few serious symptoms. In fact, those who experience bruxism may find it is more of an annoyance than a health concern. However, as the condition continues undiagnosed or untreated, the individual’s quality of life can be dramatically affected, as he or she begins to experience major oral health consequences. Bruxism can wear down enamel, chip or crack teeth and wear down fillings prematurely. 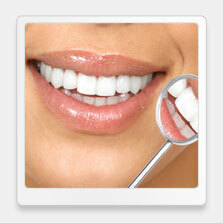 It can lead to infections and excessive dental wear and tear. The physical pressure created by bruxism can lead to Temporomandibular joint disorders, or TMJ, which has symptoms ranging from neck and head pain to difficulty chewing. TMJ disorders can cause mild pain or serious disability, and treatments can include physical therapy, home care, medication or surgery. 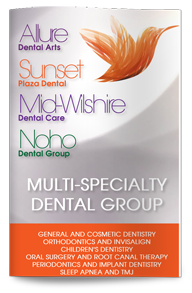 Teeth grinding can be treated successfully with the assistance of our West Hollywood dentist. Any damage to your teeth will need to be corrected through restorative dentistry procedures, and a mouth guard can protect your teeth from further damage. If the bruxism is linked to anxiety, counseling or medication may be able to help alleviate your symptoms. Contact our dental office today to learn more about your options for treating bruxism or to schedule a consultation.